By building off of the rich history of superior pump motor performance, WEG Commercial Motors has introduced their AmeriBLUE line of pool and spas motors. Why AmeriBLUE you might ask? AmeriBLUE represents the pledge of quality that WEG has had since its inception. Also AmeriBLUE calls on WEG’s loyal and proud roots of being an American made product. That is something that has not changed since 1944. By not wavering in their commitment to their values and mission, WEG has a proven track record of superior products. 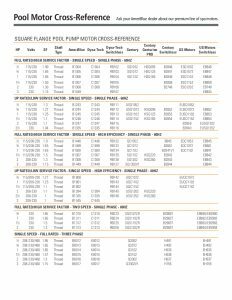 The AmeriBLUE motor line offers features that are simply not found in other designs. 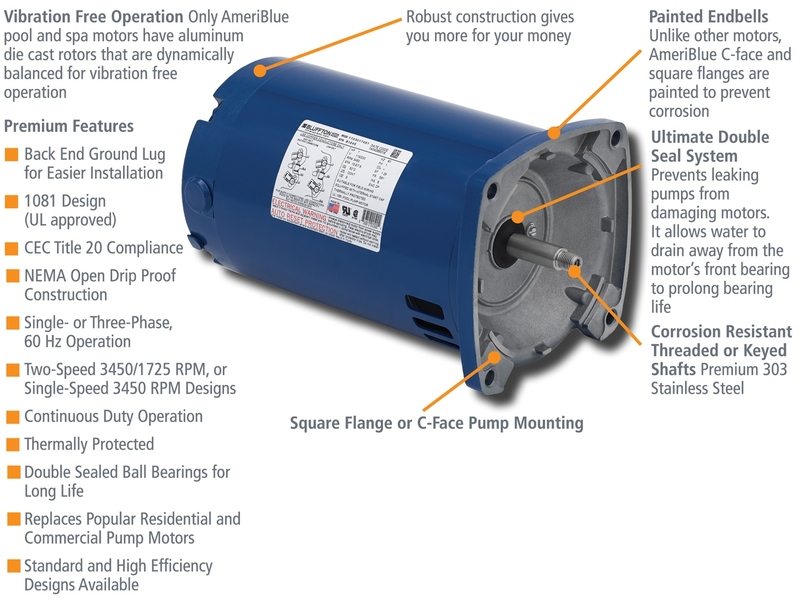 AmeriBLUE features “The Ultimate” Double Seal System that prevents leaking pumps from ruining the motors, by allowing this water to drain to the ground instead of the internal parts of the motor. The AmeriBLUE motor rotors are dynamically balanced during production, to offer a quieter and vibration free operation. The painted endbells that are standard on the AmeriBLUE offering help to prevent corrosion that can often occur in the environment these motors operate in. Order your AmeriBLUE motors today and see the difference is not just in the paint color! 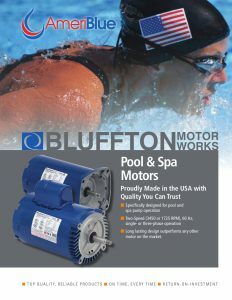 Bluffton Motor Works warrants that its products will be free from defect in workmanship and material at the time of shipment and will conform to the specifications published or agreed to between purchaser and Bluffton Motor Works for a period of 18 months from the date of installation, and 24 months from the date of manufacture on all pool motors. All spa motor warranties are 12 months from the date of installation and 24 months from manufacture. The warranty stated above does not apply to products that have been subject to misuse (including use in a manner inconsistent with the design of the product), abuse, neglect, accident or improper installation or maintenance, or to products that have been altered or repaired by anyone other than Bluffton Motor Works or its authorized representative.